Loco Ropes! is the newest adventure in Mountain View, Arkansas, proclaimed by National Geographic Adventure Magazine to be one of the 50 Great Adventure Towns! Loco Ropes is a state-of-the-art treetop adventure park experience. That’s right - a thrilling high wire adventure rope course with 3 different segments totaling 30+ challenges to test your nerve, endurance, agility, and strength. Bring the whole family to enjoy our “Loco”motive treetop adventure park! 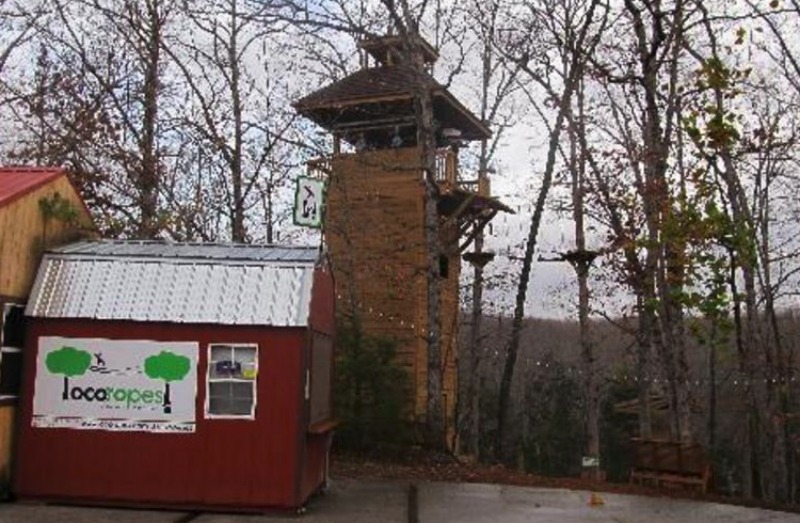 Whether you’re an adrenaline junkie, outdoor enthusiast, or subscribe to the "just plain fun" philosophy, we have an awesome adventure of tree-top adventure rope course challenges in the beautiful Ozark Mountains waiting for you!Go Loco… It’s Sooie-T! !